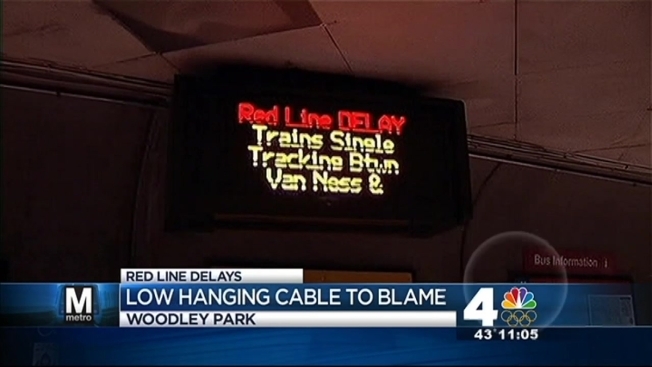 Commuters on the Red Line faced major delays Wednesday morning as crews worked to repair a low-hanging cable outside the Woodley Park station. Just after 7 a.m. Wednesday, trains began single-tracking between the Van Ness and Dupont Circle stations. Repairs to the low-hanging cable inside a tunnel outside the Woodley Park station were completed just over three hours later. Riders can expect residual delays in both directions.